After debuting in late 2017, The Woods of Midvale in the City of Tucker is making its final curtain call. This intimate enclave of single-family luxury homes priced from the low $500s features a variety of stunning floor plans with a variety of classic, European-influenced and cottage-inspired elevations, so no two homes look exactly alike. 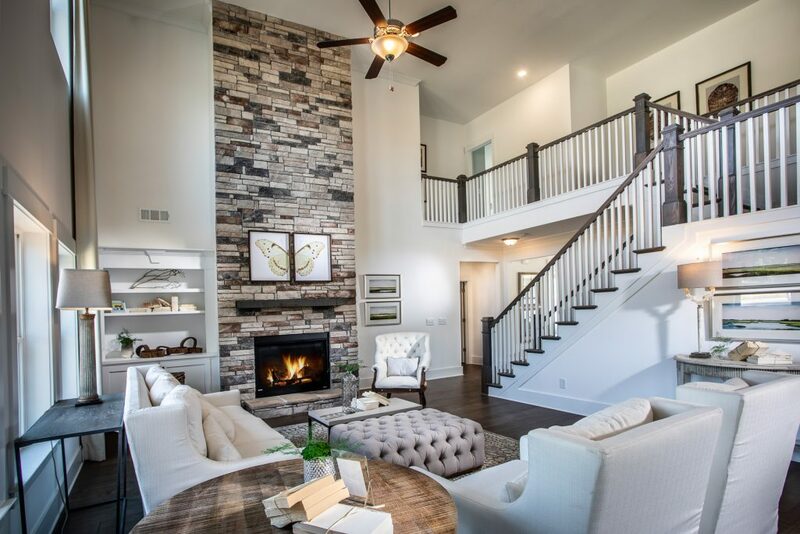 Best of all, The Woods of Midvale lives up to its name thanks to its signature beautifully wooded lots – providing homeowners with a sense of both privacy and tranquility. All homes in The Woods of Midvale are refreshingly distinctive and thoroughly diverse. Interiors showcase gourmet kitchens, open concept layouts, and those signature luxury touches for which Paran Homes is so well-known. Today, only two available homes remain – providing the final opportunities for new home buyers to become a part of this remarkable Dekalb County community. Lot 14 – 3568 Reevley Lane: Originally priced at $599,350 and showcasing the Primrose floor plan, this 3384 SF 4-bedroom, 3.5-bathroom home features a highly sought-after Master-on-Main. As a matter of fact, the owners’ suite proves a welcome retreat at the end of any day thanks to its spacious sitting area, enchanting bedroom with trey ceiling and master bath with dual vanities, luxury spa shower and huge walk-in closet. The rest of the main level boasts 10 ft ceilings as well as a formal dining room, spacious family room and large open kitchen with central island. Move-in ready, this home offers a temporary price improvement of $586,000 for quick closing, but it must close by April 30. Paran Homes is also prepared to offer $4K in closing costs with preferred lender. Learn more! Lot 20 – 3683 Midvale Road: Originally priced at $585,629 and featuring the Azalea floor plan, this 3157 SF 5-bedroom, 3-bathroom home is the ideal fit for any family who loves to entertain. Earning its title as the heart of the home, the gorgeous Chef’s Kitchen boasts a large island, double ovens, and granite countertops overlooking an exquisite two-story Great Room with floor-to-ceiling stone fireplace. A multi-panel sliding glass wall offers seamless connectivity between indoor and outdoor living. The main floor also showcases 10 ft. ceilings throughout and a guest bedroom with full bath that includes luxury shower. Just upstairs, the luxurious Master Suite includes a spa-inspired master bath with tile floors and soaking tub. 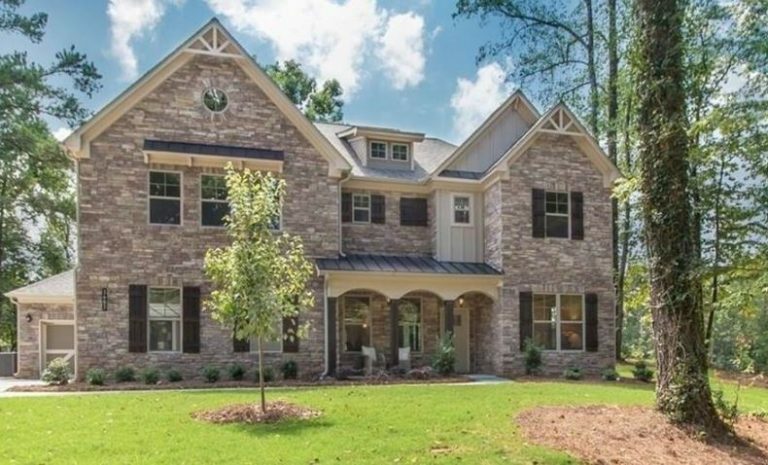 This incredible home also boasts a side-entry 3-car garage. 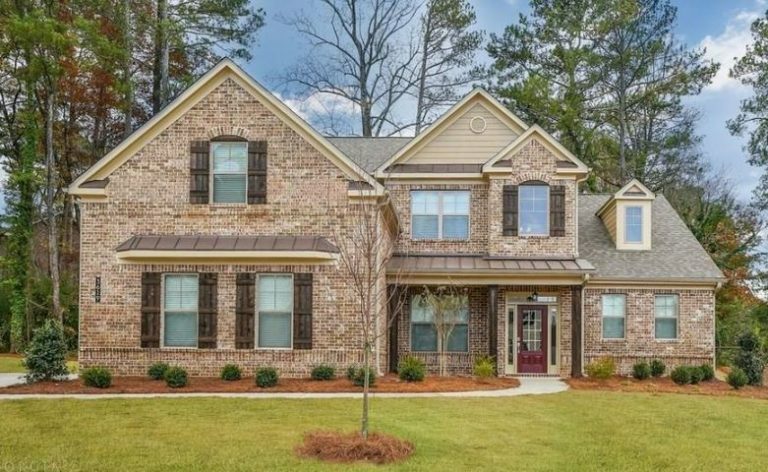 This move-in ready home offers a temporary price improvement of $574,900 for quick closing, but it must close by April 30. Paran Homes is also prepared to offer $4K in closing costs with preferred lender. Learn more! The Woods of Midvale is convenient to I-285 and LaVista Road. A number of delightful parks nearby add to the allure, including the sprawling 121-acre Henderson Park with its lake, 4 tennis courts, 6 soccer fields, playground, community garden, and network of walking trails; the more intimate 17-acre Kelly C. Cofer Park with its softball fields, swimming pool, playground, picnic area, lake and trails; and the 68-acre Lucky Shoals Park – a member of the award-winning Gwinnett County Parks and Recreation Department with its community recreation center featuring three indoor basketball courts, badminton courts and indoor walking track, plus a number of multi-purpose athletic fields, outdoor basketball courts, two lighted tennis courts, pavilions, playground and paved trail. For families seeking BIG adventure, nearby Stone Mountain Park will not disappoint. This five-square-mile park is not only Georgia’s most visited destination, it’s also home to the world’s largest piece of exposed granite. Throughout the year, Stone Mountain Park offers a variety of recreational outlets, family-friendly attractions and jam-packed calendar of events. Students living in The Woods of Midvale will have access to Midvale Elementary, Tucker Middle and Tucker High Schools. To learn more about each of these available homes and schedule a tour before they’re gone, please contact on-site Community Sales Manager, Valyn Cole at valyns@paranrealty.com or 404-220-8088. To get to The Woods of Midvale, take I-85 North to I-285 E. Take Exit 37, GA-236/Lavista Road and turn left onto Lavista Road. Turn left onto Crestcliff Road and then left again on Midvale Road into the community. For GPS users, the address is 3686 Midvale Rd Tucker, GA 30084.